Includes: Workbook, Envelope System, “Dave Ramsey's Complete Guide to Money” Book, Online Access to all Nine Lessons, EveryDollar Plus Budgeting Tool, and More Online Membership Resources. • It is a 9-week commitment. (One class per week). • Classes are led by a volunteer group coordinator from Kimberly Christian Church. 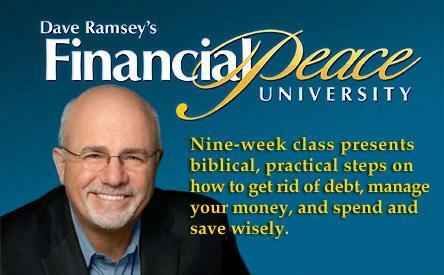 Whether you're struggling to make ends meet or you're a millionaire FPU has something for you.